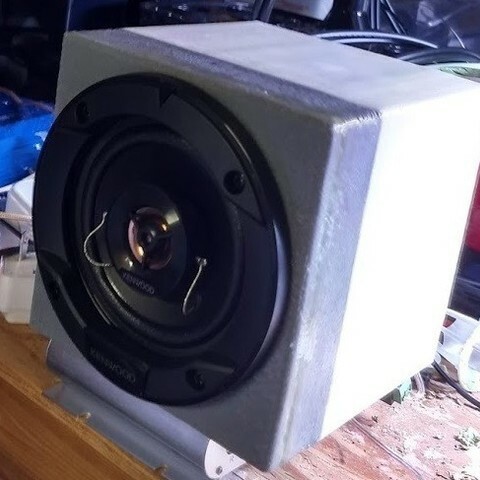 This speaker enclosure is printed in one piece if you have at least a 200 mm diameter build plate and 180 mm height.It is printed with full support and if your support is like mine, in long thin strips,then leave it in as baffling. 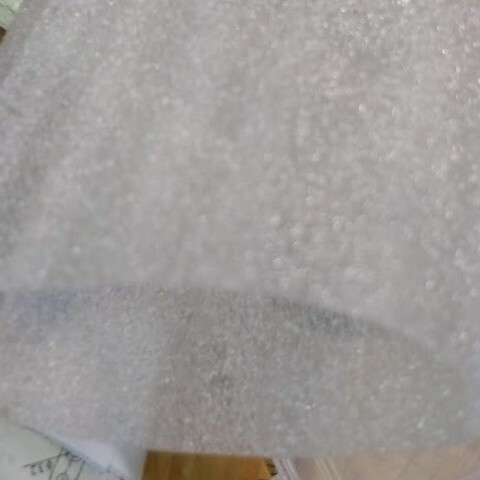 Some polyfill would help too. I used Kenwood speakers from Best Buy that cost less than $23 and included cover screens and mounting hardware. I didn't need the screens. I think they sound pretty good but plan to add an eight inch woofer. The advantage of using car speakers is they have the cross over networks designed in and you don't have to do it. I used about a 50% infill and full support. (which becomes the speaker baffles). 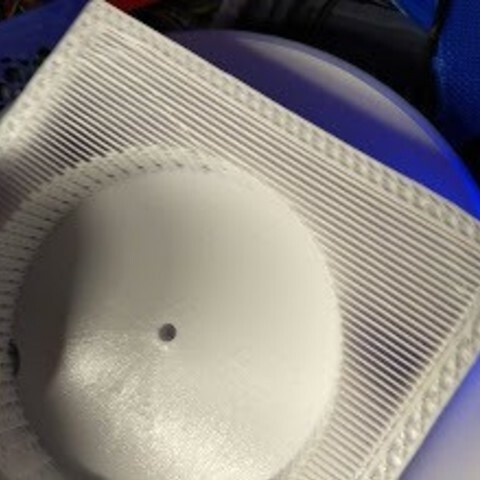 97% size would fit fine, but I printed full size and used some thin foam doubled over around the speaker hole to block the air.I added the 97% stl file, it has been the best fit. I have now tried three different speakers with a price range from $23 to $36 and the average wattage runs from 25 to 60. They all sound pretty good and I would not be surprised to find they were all manufactured in China. I added JBL and Planter.